watch it grow - over 4x !! easyMulch is a NEW easy to use, multi-purpose straw pellet MULCH. 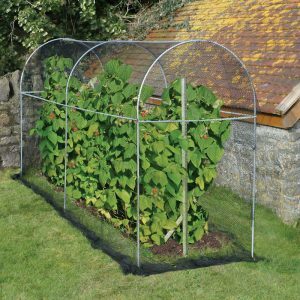 It will give your garden a neat, tidy appearance while protecting the roots of your plants & improving the soil. It also acts a a great weed deterrent and holds up to 3x its weight in moisture. Each 30L bag expands ~4x to cover 4m square at a depth of 2cm. Just SPREAD easyMulch , ADD WATER and WATCH IT GROW! easyMulch is the new multi-purpose garden mulch derived from sustainable, natural British straw. 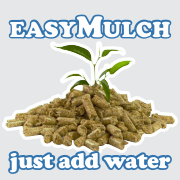 easyMulch comes in clean & easy to use pellets, simply add water & watch it grow! 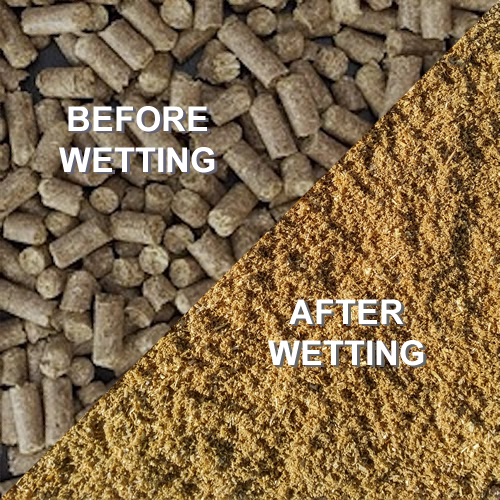 easyMulch is made from pelleted straw, so is pH neutral and will add natural nutrients to the soil as it decomposes each season. Unlike bark it will not leach nitrogen or acidify the soil and as easyMulch is steam sterilized during production it is completely weed and disease free!! 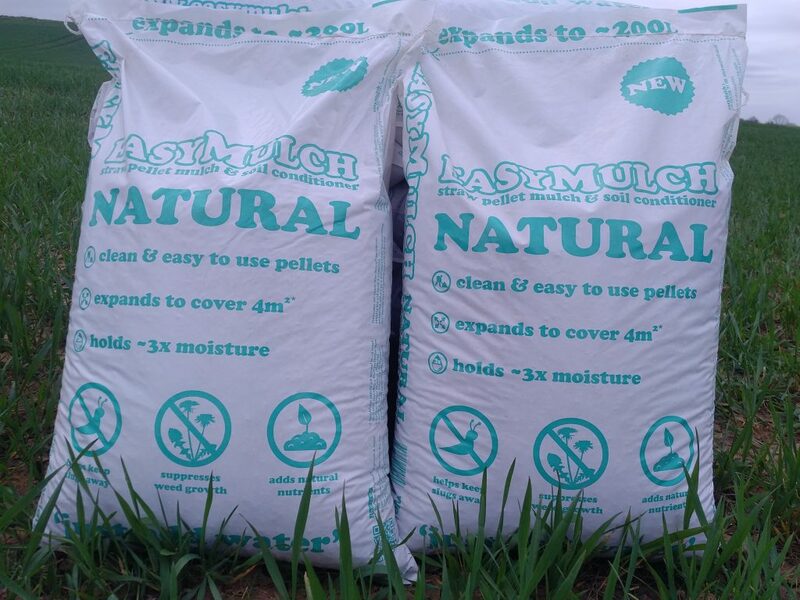 easyMulch comes in easy to handle 30L (15kg) bags, which each cover ~4m2 equilivent to 2×100 litre bags of bark mulch. 8 easyMulch bags will cover the same area as a bulk bag of bark. easyMulch stores indefinitely and takes up only ¼ of the space of bark mulch. 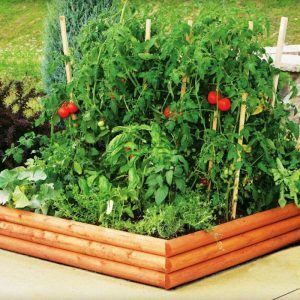 easyMulch offers an eco-friendly, carbon neutral alternative to wood, coir or artificial mulches. As it decomposes it enriches the soil and improves its structure. 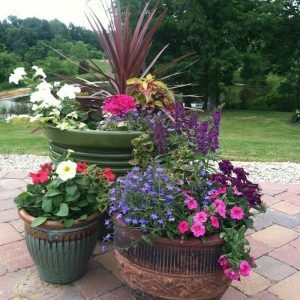 Using easyMulch produces superior results with improved insulation, plant growth, surface coverage and weed suppression, up to 97%. Reducing the need for expensive fertilizers and weed killers. 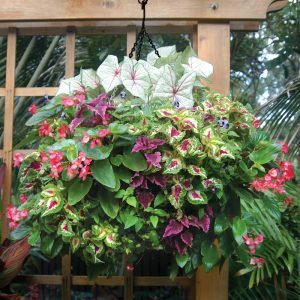 It is what your plants would buy! Spread the easyMulch pellets over the soil in one layer thick leaving small areas around the base of your plants clear. One 15kg bag will cover 4 sq meters. easyMulch will create a protective crust over the soil, retaining moisture while supressing weeds. Use our handy tool to work out how many bags of easyMulch your garden will require. One 30L (15kg) bag of easyMulch is equivalent to 200L of bark mulch. With 8 bags equivalent to a bulk bag of bark…..!!! Area to Cover in Meters Sq. Use our handy tool to work out how many bags of easyMulch your garden will require. 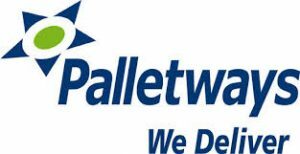 We use UK Mail (for boxes) & Pallet Couriers to deliver and you will receive a text, email or call with delivery details when we dispatch your order. 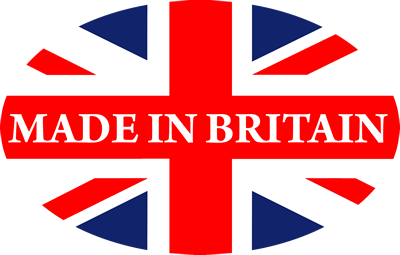 If you wish to track your UK Mail or Pellet order, please click on the buttons below and add your order details in the form provided. Please take care moving the box’s and bags when they arrive, large boxes will weigh 30kg. You may prefer to open the box and lift out each 15kg bag separately. The new easy to use, multi-purpose pellet mulch derived from sustainable, natural British straw..